intu Derby shopping centre contributed £233.4 million to the city’s economy in 2017. This is according to a study by planning and development consultants Lichfield’s and came through employment, regional investment and business rates paid. The research was carried out as part of a wider study by Lichfield’s, which aimed to measure the overall contribution intu-owned shopping centres make to the UK economy. Over the past 12 months, the British retail sector has lost a number of big high street names. During that time, some shops in Intu Derby have shut but the shopping centre operator has been working to fill the vacant units left behind. David Fischel, chief executive of Intu, which also operates shopping centres in Spain as well as the UK, said: “Our centres are not only great places for customers to shop, eat and enjoy themselves but provide engines for dynamic economic and social value. The Intu Derby shopping centre opened in October 2007. At the time, the centre was owned and operated by Westfield, which ploughed £340 million into the development. In 2014, the centre was bought by Intu Properties and was re-branded as Intu Derby. Today, it is home to a range of shops, including leading retailers such as Next, Debenhams, Sainsbury’s and M&S, a multi-screen cinema, a large food area and leisure attractions, including indoor golf and bowling. Intu Derby itself is also active in the community supporting a number of projects. Alexander Nicoll, corporate responsibility director at Intu, said: “We are proud to operate centres, which are not just the nation’s favourite shopping destinations, but also the lifeblood of their communities. Subject to Cabinet approval, Derby City Council will be investing £331,000 over two years in the venue. The money is to come from existing funds in the Regeneration Capital Programme. A masterplan showing how a university zone will be created in the city is currently being drawn up by University of Derby. University vice-chancellor Professor Kath Mitchell, who expects the plan to be publicly revealed early in 2019, said the blueprint for the institution's physical development follows the newly-published Strategic Framework, which plots the university’s development through to 2030. Professor Mitchell is proud of the accolades the University has achieved and remains ambitious for both the university and the wider community in Derby. She stated that any zone should have clear objectives, and although she did not want to reveal too much at this stage, she did mention a few teasers for the future. The Agard Street area is likely to be developed further as part of the university quarter as there is already a considerable student presence there, including the Law School and numerous halls of residence. Professor Mitchell confirmed that a newly-acquired car park on Ford Street would also be playing a part in future plans. Marketing Derby will be attending this year's MIPIM UK at London Olympia on 17th October 2018. MIPIM UK is a UK version of the world's largest property conference held in Cannes each year in March, and provides a showcase for development and investment opportunities across the UK. If you would like to hear about some of the exciting opportunities available in Derby and Derbyshire, please email Katie Delve at katie.delve@marketingderby.co.uk to arrange a convenient time. One of Derby's largest city centre office complexes, Cardinal Square, has recently received a comprehensive refurbishment from owner and Nurton Developments with help from fellow Three Hundred & Sixty Degrees. Cardinal Square now offers a high-quality office accommodation environment ideal for private and public sector occupiers. Set around a central garden, the building comprises of blocks arranged on four and five floors, with spacious, modern accommodation available from 1,000 sq ft. and serviced offices for two people upwards. In order to allow prospective occupiers to see the space's potential Cardinal Square asked Three Hundred & Sixty Degrees to create three Virtual Reality walkthroughs showcasing very different approaches to the same space. The thinking behind the innovative approach was to let prospective clients 'walk' around the office and encourage them to think about stamping their own corporate personality on the building. David Dyas, Asset Manager for Cardinal Square said: "Cardinal Square offers versatile floorplates, generous natural light and great outside space, and 360 degrees have now demonstrated what the offices can look like to great effect. The imagery promotes this iconic building and supports our ongoing programme to provide quality office and serviced office accommodation in Derby. It is well worth taking a closer look at Cardinal Square as it never fails to exceed expectation." Howard Barnes, Design Lead of Three Hundred & Sixty Degrees said: "This is a great example of how VR technology and other cutting edge design tools can assist with the creative process. In this instance it allows a potential occupier to expand their thinking as to how the spaces at Cardinal Square could work for their particular organisation. "It allows us to experiment with layouts and interior design styles in a virtual environment; eliminating the risks of getting it wrong, and supporting a bolder and more visionary approach to how the space could work. For us the best thing is that it helps to remove the prejudices that often colour a particular building – this exercise proves that Cardinal Square is capable of housing really inspirational workplaces." Details of the space is available from bondholders FHP Property Consultants and Rigby & Co. who are jointly marketing the premises and would be pleased to discuss any occupier requirements. 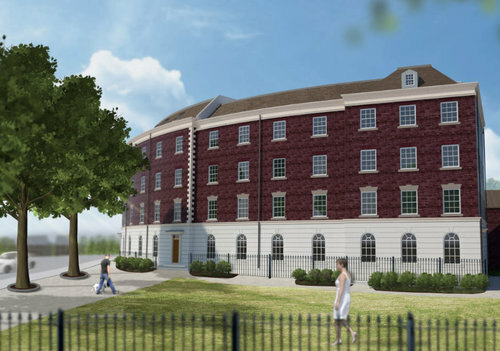 A multi-million pound student apartment complex has been completed by Clegg Construction for developer Jensco on behalf of University of Derby. The nine-storey high block, in Agard Street, stands at 26-metres tall and comprises of 244 bedrooms and communal areas. There is provision for cycle parking outside, landscaping and pedestrian access points from Agard Street. The accommodation is based next door to the University of Derby’s Law School, which is situated in the One Friar Gate Square building, also built by Clegg Construction. Tram tracks and cobbles dating back to the 1800s have also been reinstated in Short Street, next to the building, after being carefully removed. Photographs, site plans, survey data, a detailed report and measurements of the tram tracks and cobbles were used to reinstall them towards the end of the build in order to preserve part of Derby’s heritage. Simon Blackburn, Managing Director of Clegg Construction, said: “We are delighted to have been involved with two landmark buildings in Derby, One Friar Gate Square and the student flats complex next door. 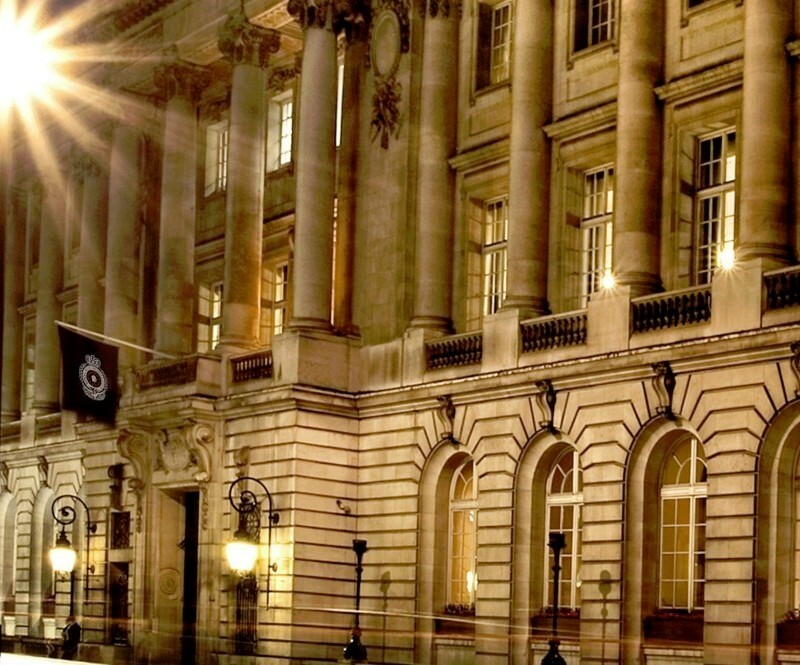 Marketing Derby hosted its 30th Derby Embassy at the Royal Automobile Club, Pall Mall, London this week. The Derby Embassy is part of Marketing Derby’s annual calendar of events in London. As a key target market to raise the profile of Derby in the capital it is an opportunity to gather local ambassadors, business leaders, key stakeholders together with investors and developers who are looking to be part of Derby’s future landscape. The assembled guests heard from Leader of Derby City Council, Cllr Chris Poulter at his first Embassy event since taking over the leadership role. Cllr Poulter outlined some of his priorities for Derby, including continuous momentum in the development of the city centre, including key regeneration sites in the city centre, an innovation campus at Infinity Park Derby and enhanced connectivity within the city and to East Midlands Airport. He reaffirmed that the City Council would ensure a smooth path for developers. Also high on his list was improving the Council’s communication channels and representation for the benefit of the city and its people across political parties. The event was held in collaboration with law firm Smith Partnership. Claire Twells, Partner at Smith Partnership took the opportunity to explain the importance of the firm’s city centre location, having recently moved their 120 operational staff into new office premises in the Cathedral Quarter. She also described how they had worked with space planning and office fit out specialist Three Hundred & Sixty Degrees to create a new office that would ‘wow’ clients and provide a visual representation of the forward-thinking law firm as well as provide a more agile workspace. Paul Harris, Director of Economic Development at Rolls-Royce reaffirmed that despite the multi-billion pound global firm’s recent announcement of re-structuring and job losses it remains very committed to Derby. This commitment is clear to see with work ongoing to build the world’s largest testbed which will be capable of developing the next generation of aero-engines, the world-class centre of innovation is still investing in new technologies in Derby and its support for Infinity Park Derby which is a significant opportunity to develop future technologies. The event was part of the "Invest in D2N2" project, which is part-funded by the European Regional Development Fund (ERDF) as part of the European Structural and Investment Growth programme 2014-2020. Legal firm Smith Partnership officially announced its move to a new 14,000 sq ft office in the heart of Derby city centre at a Derby City Embassy at the Royal Automobile Club on Pall Mall, London this week. Following an extensive search for quality office space in the heart of the city in 2017, and not wishing to relocate away from the historic Cathedral Quarter, the regional solicitors firm opted for a derelict space with high street frontage. With guidance and advice being provided by fellow Three Hundred & Sixty Degrees on the design of the space, the firm now has a unique and bespoke space for its 120-strong Derby team, providing excellent access for customers whilst giving staff a modern, high-quality environment and a more agile workplace. Claire Twells and Howard Barnes, Managing Director of Three Hundred & Sixty Degrees will be hosting a breakout session on the future of city centre offices at the Derby Property Summit on Tuesday 17th July at Derby’s iconic Roundhouse on Pride Park. Two new stores are set to open at intu Derby. Chocoholics of Derbyshire are in for a treat, as luxury chocolatier Hotel Chocolat prepares to open a boutique store and café concept in the centre. And once you have over-indulged in delicious chocolates head along to the new stylish leisurewear retailer Footasylum to buy some big name brands in sportswear. Hotel Chocolat is set to open its doors this July, and will offer visitors a space to take a break from shopping and indulge in a choice of chocolate treats, as well as browse the brand’s signature selection of high-end products. The cocoa-inspired café menu boasts a range of extravagant hot chocolates, brownies, ice-creams, and award-winning infused teas. One of the world’s few chocolate-makers to grow and farm its own beans, Hotel Chocolat will stock everything from elaborate hampers and gifts, to unique flavour combinations and tasty tipples such as Cocoa Gin and Cocoa Beer. The store will be located on Level 2 of the centre next to Swarovski. Adam Tamsett, General Manager at intu Derby, said: “We are thrilled to welcome Hotel Chocolat to the centre, and we are certain many of our visitors with a sweet tooth will be, too. “The latest opening will bring yet another premium brand to the centre, offering chocolate-lovers of all ages a taste of luxury. The cocoa café concept is an exciting addition to the traditional store, and will provide the perfect place to relax and refuel, as well as browse a wide variety of luxury gifts and treats,” he added. 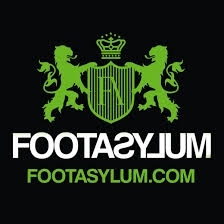 Footasylum is expected to open its doors later this year and will be located on level 2 opposite Timberland. Offering a wide variety of big name brands in store, including Adidas, Nike and Vans, shoppers will be able to browse everything from footwear to clothing for men, women and children. Adam Tamsett, General Manager at intu Derby, said: “Following a series of exciting new openings including Footlocker and Lush, we are delighted to announce that Footasylum will be the latest addition to the centre. Progress is well underway on a new building which is set to bring an additional 320 students to the Cathedral Quarter. Prosperity Capital received planning permission in November 2017 for a 9-storey building on Cathedral Road, adjacent to Derby College's Joseph Wright campus. Work began preparing the site earlier this year and an indication of what is to come appeared in recent weeks with the assembly of a large tower crane on site. With assembly completed, work on erecting the steel framework will begin imminently ahead of an August 2019 opening. Derwent Living are understood to be operating the site once opened. John Forkin, Managing Director of Marketing Derby, said: "We are delighted to see the progress being made on bringing this building into Derby city centre. Prosperity Capital's first project in the area, Cathedral Court opened in 2017, bringing 350 students into the city centre which has made a big impact on the local economy. "We are therefore thrilled to see another 320 students set to join them in this second project, which will further support Cathedral Quarter's businesses and establish the emerging University Quarter, alongside developments such as the University of Derby's Law School, Agard Court and Cathedral Court." Nine Investments has celebrated the unveiling of a crane at its newest building project Kings Crescent, off Duffield Road. Architects rendering of Kings Crescent. The crescent, a sweeping curved Georgian inspired development, will have nearly 50 dwellings; a mix of one and two-bedroom luxury apartments, including penthouse suites and three spacious town houses. As the foundations are now complete, the crane has been brought in with its first task the erection of a steel frame which will form the skeleton of the structure. Marketing Derby Managing Director John Forkin was invited to cut the ribbon at a ceremony celebrating the cranes arrival onto the city's skyline. He said "This is a fantastic location adjacent to the beautiful Darley Park, with your local high street being 'Britain's best' as Great British High Street winner. 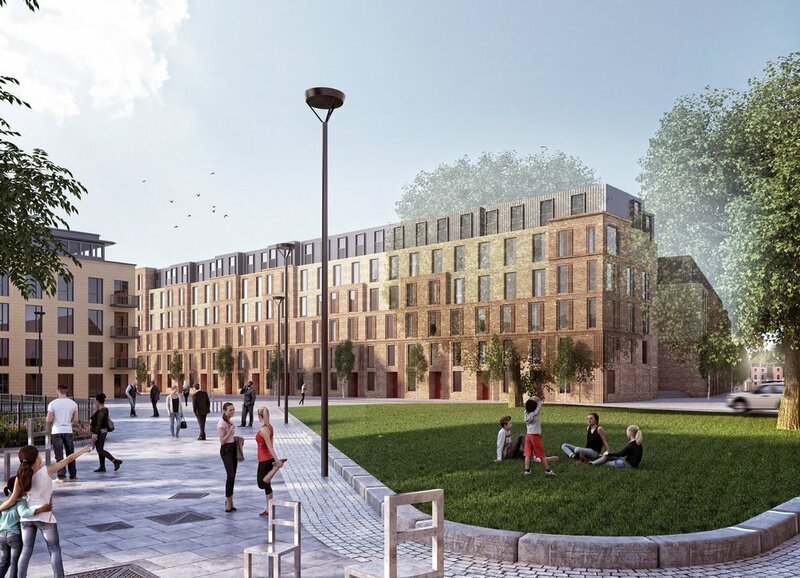 It's great to see two Bondholders working together to bring quality living to Derby"
Work on the building of Kings Crescent will start in the next few weeks, with completion set for April 2019. Carl Bridge, Director of Birchover Sales and Lettings, which is the sole marketing agent for Kings Crescent, said: "In our view, it’s the most breathtaking new residential building in Derby for decades. The stunning crescent is perfectly situated for The Cathedral Quarter and city centre and will be a great addition to the Derby skyline. “We sold four apartments on the day the properties went live. There has been tremendous interest from local buyers for the town houses and the studio, one and two bedroom apartments." 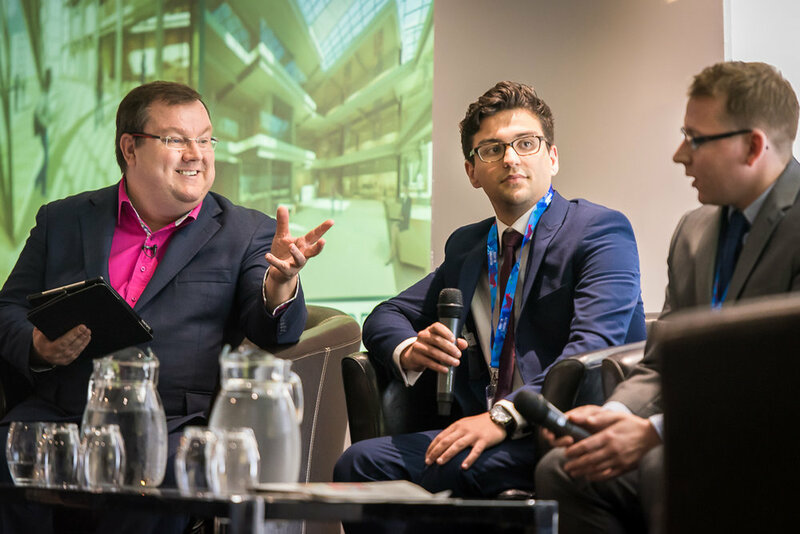 Derby Property Summit is proving to be as popular as ever with over 350 delegates booked already for the Midlands’ biggest property conference. 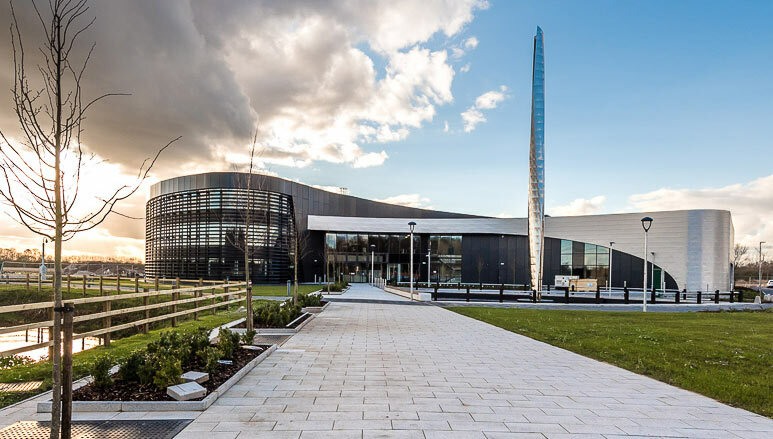 Held annually, this year’s Summit is taking place at the iconic Derby Roundhouse, adjacent to Derby Rail Station on Tuesday 17th July with a theme of cities in competitive collaboration. The panel will then be followed by a choice of breakout sessions on subjects ranging from the Build to Rent sector, investing in Derbyshire, the use of data in investment and modern workspaces. Capacity is limited so if you would like to reserve your space, please contact georgina.staley@marketingderby.co.uk. Invitations to this year’s Property Summit will be hitting inboxes this month. The Summit, now in its sixth year, is the largest commercial property event in the region, with over 400 senior-level delegates due to attend from across the UK. The event will bring together regeneration, property and development, with insights from key industry speakers and city leaders. It is a must-attend for anybody looking to do business in Midlands property. Coverage of last years event. After the huge success of recent years, the Summit has outgrown its previous home and will showcase a new, interactive format for the first time at the historic Roundhouse in Derby, adjacent to Derby Rail station. For partnership opportunities, please contact Katie Delve at katie@marketingderby.co.uk. The Midlands economy is in its strongest position yet to help reshape the new relationship with the EU and wider world, with the East Midlands poised to play a vital role. 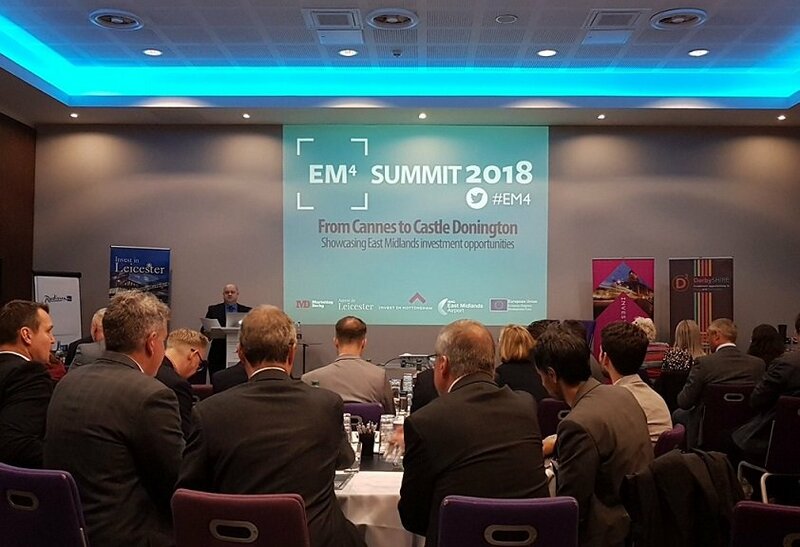 This was the message at the EM4 Summit, held at East Midlands Airport last month, which gave attendees the opportunity to hear from the region’s investment promotion agencies about the region’s strong investment narrative. Home to more than 10 million people and 440,000 large and small businesses, the Midlands as a whole has more than £11bn in investment opportunities on offer. The East Midlands economy alone is worth over £100bn, the fastest growing outside London, and with a population of 4.7m, with a favourable number of both skilled workers and large businesses the region is set to prosper. Marketing Derby, Invest in Leicester, Invest in Nottingham and other public and private sector businesses joined forces to represent their cities and counties to sell the narrative at this year’s MIPIM. EM4 guests heard about the success of the event, with the East Midlands an active part of the Midlands UK Pavilion which welcomed more than 4,700 visitors, a 57% increase on 2017. The keynote presentation at EM4 was from leading national think-tank, Centre for Cities on why the East Midlands has such a strong offer for domestic and overseas investors. Other speakers included global property and construction consultants Gleeds, Henry Boot Developments and Rolls-Royce. Plans are underway for the investment promotion agencies to work together on attracting London investors and developers at an event in the autumn. The event is part of the "Invest in D2N2" project, which is part-funded by the European Regional Development Fund (ERDF) as part of the European Structural and Investment Growth programme 2014-2020. The University of Derby’s offer to students continues to grow at pace with the 244-bed Agard Court due to handover in the coming weeks. 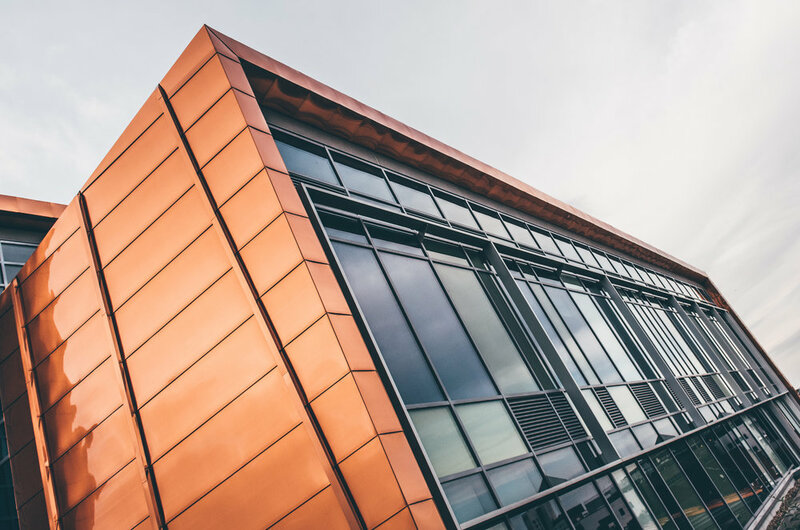 The developer of the scheme, London-based Jensco, is right on schedule with the keys due to be handed over imminently as the University prepares for an August opening. This new 8-storey building is adjacent to the University’s Law School at the gateway to the University Quarter and will be the latest addition to its accommodation portfolio. The University of Derby continues to go from strength to strength following its Gold rating in the Teaching Excellence Framework with its most recent award coming as a Finalist in the Global Teaching Excellence Awards in May 2018 and being shortlisted twice in the THE Awards. A Made in Derby Walk of Fame has been launched following weeks of anticipation about whose names would be enshrined onto Derby’s streets. The project, involves Derby City Council, the Derby Telegraph and local businesses, funded by D2N2 Local Enterprise Partnership. The ten famous names include Alice Wheeldon, Bess of Hardwick, Brian Clough and Peter Taylor, John Hurt, Joseph Wright, Louis Martin, Philip Noel-Baker and Rolls and Royce. Visitors to the Walk of Fame are able to view information, and watch actors recreate the personalities by downloading the Made in Derby app to their mobile phones. The use of augmented reality has proven to be a great success with Derby residents so far. An extension to the Walk of Fame is planned with names to be chosen soon. Online retail giant Amazon is set to be the first tenant of a £700m distribution hub near East Midlands Airport (EMA) which is the UK’s busiest pure cargo airport and handles over 320,000 tonnes of flown cargo every year. EMA is already the UK hub for DHL and UPS, and support operations for TNT and Royal Mail. It is understood that Amazon has agreed a deal to occupy a 500,000 sq ft unit at the Logistics Park East Midlands Gateway, next to junction 24 of the M1, creating 3,500 jobs. The site is expected to be completed by April 2019. East Midlands Gateway has planning consent for up to six million sq ft of logistics space and will incorporate a 50-acre strategic rail freight interchange and is expected to have around ten distribution units.